The Giant Trance 29 2 Complete Mountain Bike is a trail crushing machine that will cover ground like goat on the side of a cliff. Big 29 inch hoops carry tons of momentum and climb right over obstacles. Just enough travel from the 130mm Maestro® suspension gives the Trance 29 enough squish to handle sporty descents while minimizing up-hill suffering. 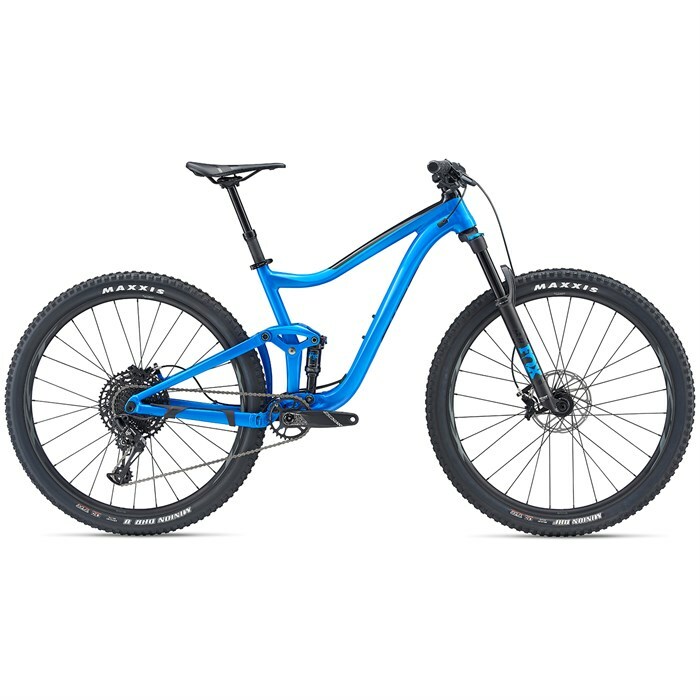 Twelve speeds of SRAM NX Eagle technology and Boost spacing complete this finely tuned machine, making the Giant Trance 29 2 Complete Mountain Bike a super reliable and capable trail bike that makes it easy to embrace the 29er trend. 130 mm Maestro® Suspension  Whatever off-road adventures you seek, Giant's Maestro Suspension helps you make the most of your efforts. Control, traction, comfort, speed -- you get more of everything with Maestro. From fast and efficient XC bikes to long-travel downhill setups, Maestro is an adaptable full-suspension platform that offers smooth, active rear suspension for any type of trail and all kinds of terrain. 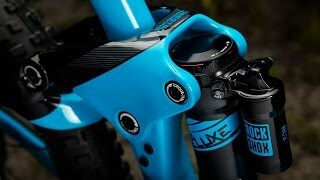 Fox Float DPS Performance  Performance Series FLOAT DPS shocks have fewer adjustments than Factory Series (no Open mode adjust tuning range), and have black anodized air sleeve and body instead of Genuine Kashima Coat. A Performance graphics package ties in the black-on-black look. Fox 34 Rhythm  Rhythm forks share the same air spring as the Float 34, but feature 6000 series aluminum upper tubes along with the FIT GRIP damper. SRAM Guide T Brakeset  Guide T brings the consistent performance that you have come to expect from SRAM's lightweight Guide four-piston caliper. Pair this with MatchMaker™ for a clean looking bar set-up, plus the ease of use with Bleeding Edge™ drip-free bleed ports and you have a smart budget minded brake that keeps you in control. Tubless System  Fewer flat tires. Greater traction. Less rolling resistance and a smoother, faster ride. Giant’s Tubeless System makes it easier than ever to experience all these benefits. Front Tire: Maxxis Minion DHF EXO TR | 29 x 2.3"
Rear Tire: Maxxis DHR II EXO TR | 29 x 2.3"